Does time really have a beginning? This past week the Clocks students from West Dean College went to the Royal Observatory Greenwich. In 1884 at the International Meridian Conference in Washington DC, 22 countries voted to adopt Greenwich observatory as zero degrees longitude-a loose interpretation of the place where time begins. The observatory was built in 1676 for the purpose of making a more dedicated effort to understand and plot the motions of the planets and stars. The purpose of this was to create a method for determining longitude at sea-this was such a critical issue that in 1714 Parliament passed The Longitude Act. The Act established a prize for the first person who developed a proven method for accurate determination of longitude at sea. 2014 being the 300th anniversary of the Act, the museum has created an exhibit in honor of the person, John Harrison, who developed a watch that met the accuracy requirements. It is a complicated and captivating story-Harrison spent his lifetime designing, building, and testing his designs and at 80 years of age, in 1773, he was awarded £8,750-not quite all of the promised award. With timekeeping standards much improved, it was natural to find ways to disseminate accurate time to everyone that depended on it. The red ball that you can see on top of the building is called a time ball. Historically, this ball was used as a calibration aid for ships. At precisely 1:00 PM, the ball is dropped so that ships within sight can set their clocks. 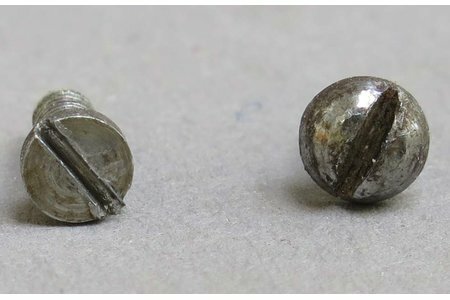 The ball and its mechanism has been maintained over the years and is still dropped at 1:00 PM each day. 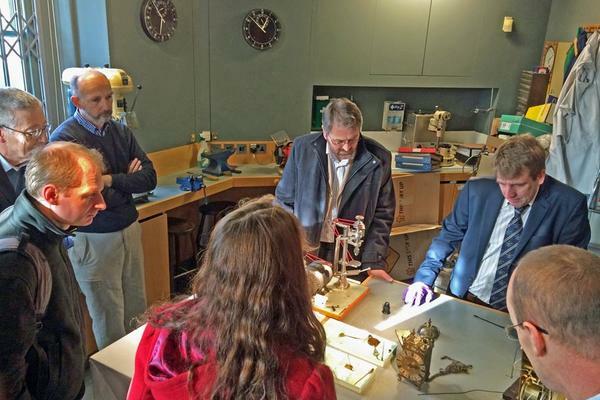 While at the Observatory, we were given celebrity status with a visit to the Observatory's horology workshop. 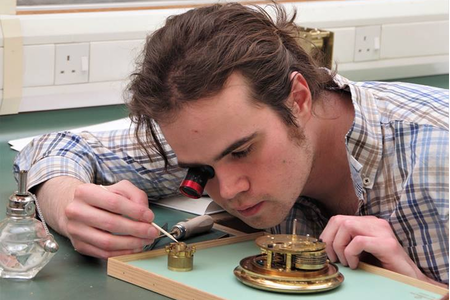 Greenwich Curator of Horology, Rory McEvoy, showed us several clocks that they had been working on. One of the clocks was a lantern clock with an alarm function. It was used by the astronomer to wake him up for observations of the stars at certain times of night. Just in case you might get the wrong impression, lantern clocks were not clocks with lanterns used for seeing at night time. It is simply a name that has been given to a certain style of clock-nobody knows for sure why, even though there are a number of theories. 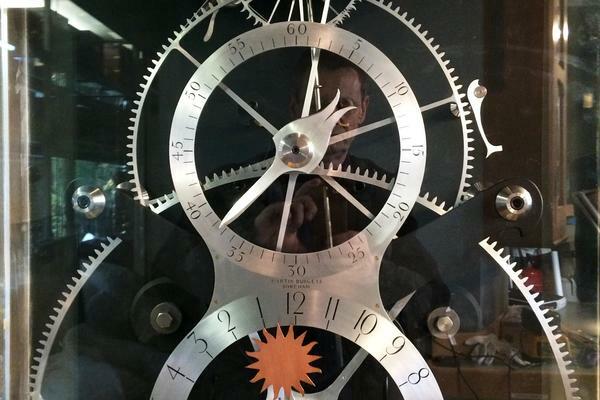 He also showed us a modern clock, designed and built by Martin Burgess, being tested there in the workshop. 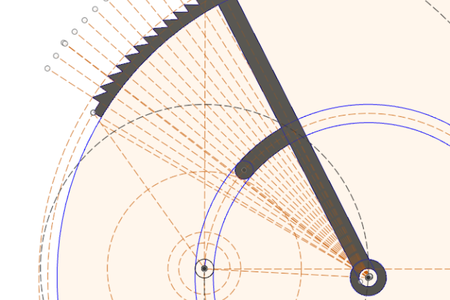 This clock is of artistic design and demonstrates some of Harrison's unique design principles. The clock has been sealed and on test for eight months and is still keeping time to less than a second off. Mr. Burgess completed his first clock of this design in 1987-it is now displayed at The Castle Mall in Norwich. 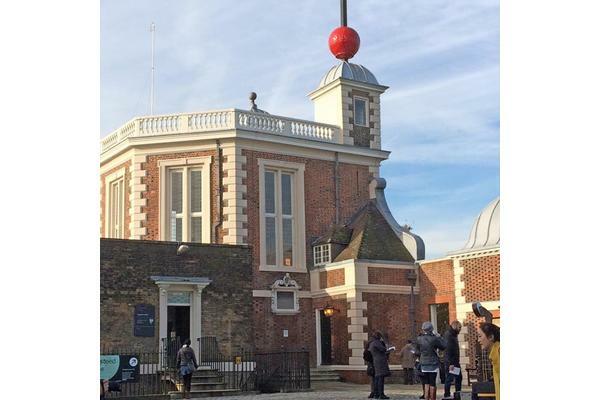 After our visit to the workshop, we went to the Flamsteed House Octagonal Room-the place where John Flamsteed, the first astronomer Royal, took many measurements of the stars and moon. 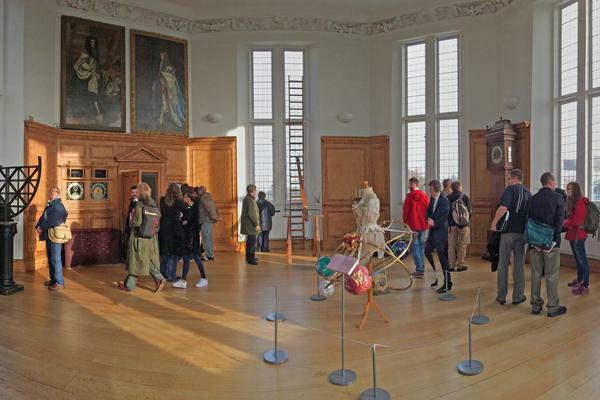 Also included in the Octagon Room were famous clocks used by the early astronomers in timing their measurements. 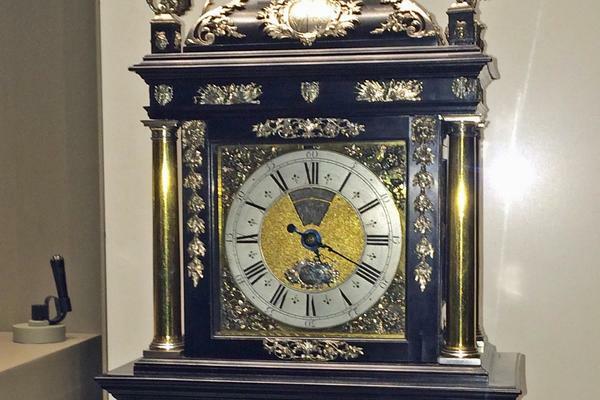 One such clock is a reproduction made by past West Dean Clocks student Johan Ten Hoeve. A few floors below the Octagon Room we observed Clock, Ships, and Stars-the exhibit at the Observatory displaying four of Harrison's timekeepers that led to his ultimate achievement. There were also other interesting things on display as part of the exhibition which closes on 4 January, 2015. Next we were off the British Museum, to see their clock exhibit and an evening lecture where the achievements of the aforementioned John Harrison were put in the context of his life and times-an interesting topic presented by Andrew King. 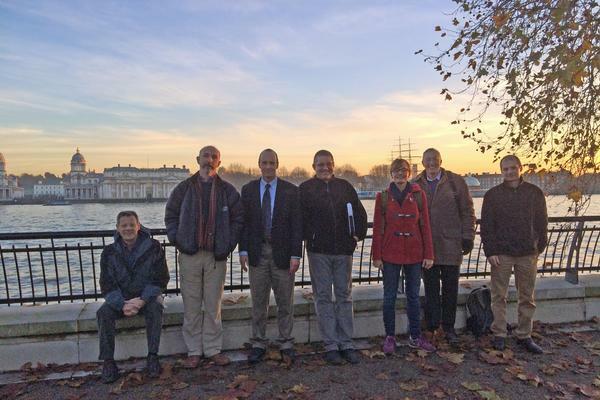 It was a day full of history so we decided to make some history ourselves with a group photo beside the river Thames, with the Maritime Museum in the background.